During the Permian, Antarctica was covered with verdant forest, a fact that is known due to fossil discoveries. The summers were warm and the winters extremely cold. The trees endured the harsh winters by shedding their leaves, just as many northern trees do today. Modern trees have evolved symbiotic relationships, called mycorrhiza, with fungi in the soil. Fossils indicate that mycorrhiza already existed during the Permian, more than 250 million years ago. Forests growing in the extremely cold conditions near the South Pole are completely unthinkable today. But fossil discoveries have revealed that, towards the end of the Permian, forests grew in the area that is now Antarctica. That was possible because, although the winters were extremely cold, the summers were warm. A fossil tree trunk from the Permian with growth rings. Discovered in Antarctica. Fossils also reveal how the trees were adapted to the seasonal extremes. Cross-sections of fossil tree trunks reveal annual rings that show how the trees grew during the summer and became dormant during the dark, cold winter. The trees were able to withstand the harsh winter cold by shedding their leaves, just as many northern trees do today. That is indicated by the carpets of fossilized leaves that have been found in layers of Permian rock in Antarctica. Modern trees have evolved symbiotic relationships, called mycorrhiza, with fungi in the soil. Through that collaboration, the fungi get sugar from a tree, while they help the tree take up minerals from the soil. Without this symbiosis, forest growth would be greatly reduced and commercial forestry would hardly be profitable. 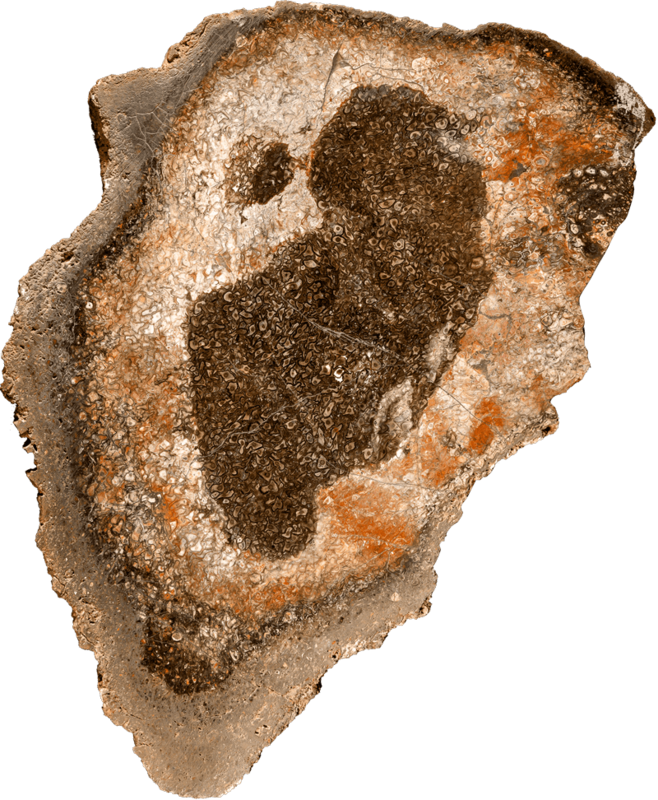 Fossil discoveries indicate that mycorrhiza already existed during the Permian, over 250 million years ago. Then, various extinct groups of seed-bearing plants lived in symbiosis with soil fungi. Talk about a long-lasting collaboration! Glossopteris was common in the permian forests. The large trees could be up to 30 metres tall. Glossopteris belongs to a large group of tree-sized seed-bearing plants. They were very common in the Southern Hemisphere during the Permian, and more than 100 species are known. 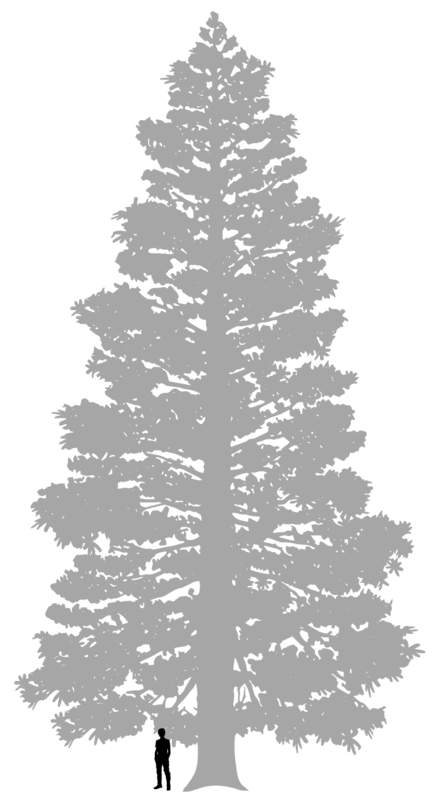 The trees grew in wetland forests, and could be up to 30 metres high, with trunks one meter broad. The first discovery of Glossopteris in Antarctica was made by Robert Scott’s ill-fated expedition in 1912. After failing to become the first humans to reach the South Pole, they discovered fossils which included Glossopteris on their return journey. Even though the members of the expedition were fighting for their lives, they carried 16 kilograms of rock samples over the ice. Eventually, all of them froze or starved to death. Their remains were later found. So were the rock samples, which turned out to be some of the expedition’s most important scientific discoveries. The fossil of Glossopteris was evidence that Antarctica was once covered by verdant forest. The same sort of fossil has been discovered in other parts of the Southern Hemisphere and India, indicating that Antarctica had been part of the supercontinent Gondwana. Fossil leaves of Glossopteris became the expedition's main findings. 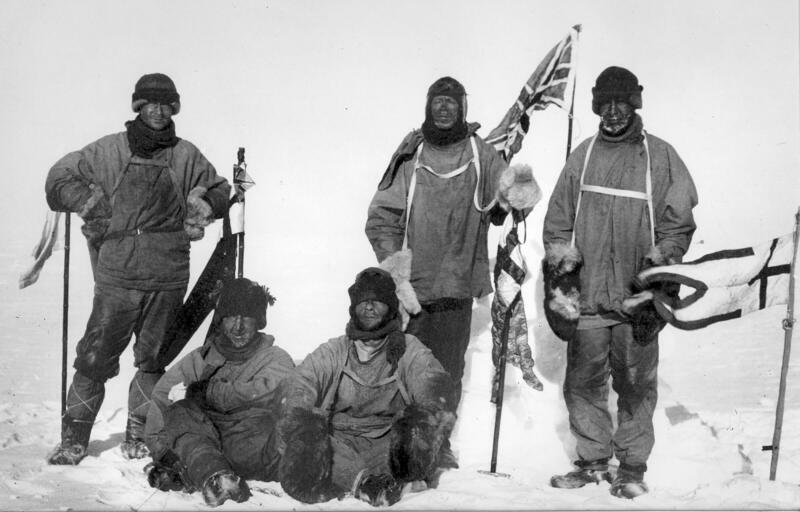 The participants in Scott's expedition to the South Pole 1912.